Mövenpick Hotels & Resorts celebrates management of magical Huma Island. Mövenpick Hotels & Resorts announces that it is to manage Huma Island resort – a private island in the heart of the stunning archipelago of Palawan Province in the Philippines. The island is world famous among divers who visit to experience the area’s exceptional corals and abundant marine life as well as to explore 12 of the most iconic shipwrecks of the mid-20th century. Huma Island itself is also steeped in mystical magic from the tip of its rainforest-covered mountains to the bottom of its primeval caves. The endless pristine sands that ring the island were once home to “Ibrahim The Sailor” who was swept ashore 1352 when his galleon Huma was shipwrecked while on its way from India to China. Ibrahim may be long gone but his legend and his ship’s name live on. Respectful of such a unique and mystical setting, the new Mövenpick Resort & Spa Huma Island is the only resort on the island and when it opens in the final quarter of 2012 it will feature 80 over-water bungalows. The island can be reached from the mainland via seaplane and luxury speedboat. On arrival at Mövenpick Resort & Spa Huma Island, guests can enjoy every indulgence. All over-water bungalows boast a contemporary tropical design and feature a private Jacuzzi. There will be a choice of six restaurants offering Lebanese, Italian, Asian and Seafood cuisine as well as an entertainment room, library, fitness centre and a six-treatment-room spa with glass floors so relaxing guests can enjoy the marine life below. For those who want to explore the extraordinary geography that makes up Palawan Province, island-hopping trips will be available in traditional Philippine Bangka Boats as well as a dive centre for guests keen to discover the magic of the area’s marine life. Palawan’s natural beauty infuses a total of 1,768 islands and is internationally celebrated. Nestling between the China and Sulu Seas, the islands were declared a fish and wildlife sanctuary in 1967 and today feature more than 11,000 square kilometres of pristine coral reef and countless colourful marine species from the gentle dugong to endangered sea turtles. Palawan Province also covers a staggering 1.5 million hectares of bright white beaches, rare rainforests, mountain ranges and underground rivers all offering endless varies of flora and fauna, more than 600 species of butterfly and 200 different types of bird. The Huma Island resort is one of 15 new hotels set to be opened by Mövenpick Hotels & Resorts across Asia by 2015. 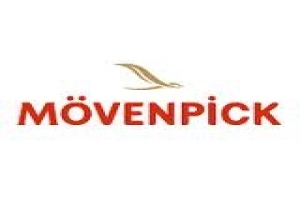 The region has been a major focus for expansion by the upscale Swiss hospitality company and already Mövenpick Hotels & Resorts operates two hotels in Thailand, two in Vietnam and one each in India, Philippines and Singapore.